Home / Blog / How is a Will Read? The loss of a loved one is never easy to deal with. It can become even more stressful when it’s time to sit down for the reading of the will. You might already know what’s in the will, what you will inherit, and what other family members will inherit if your loved one had this conversation with you long before they passed. But, if you’ve never discussed items such as these you could be in for a surprise when the will is read. There could be a lot of legal jargon in the will that can get confusing. Today, we will explain how a will is read so you can understand as much of it as possible when the time comes. The personal declaration is the first part of the will and one of the most important. It names the closest relatives of the deceased, such as their spouse and their children. This makes it very clear when reading the will at a later point and these people are referred to as my wife/husband and my children. This part of the will typically comes towards the end. It is a simple part, just one paragraph, and it names the executor of the will. It will also name alternates should the person chosen decline or no longer be living or be in an incapacitated state. Almost every will has a paragraph regarding the bond for the executor. Most wills state that the executor does not need to post a bond to be executor. A bond is a form of insurance that protects the estate should the executor improperly manage or misappropriate funds. Should there be no bond needed, the estate will save money. One of the main goals of a will is to name specific gifts. A specific gift is when a specific item – for example, a bank account, a car, a house – is specifically left to a specific person. The gift must be explicitly stated, including the bank account number or make and model of the vehicle. The recipient’s name must also be included in this section of the will. The section of conditional gifts is not always included in a will. It depends on the wishes of the creator. Conditional gifts are those that are only granted if the recipient meets specific goals. For example, $25,000 might be left to an adult child if they decide to seek their master’s degree. Or, $10,000 might be left to a family member if they quit smoking. Or, there could be a large sum of money set aside for an adult child should they ever decide to get married. There could be a clause in the will that creates a trust upon the death of the creator of the will. If a trust is created with the will it is known as a testamentary trust. The most common type of testamentary trust is the one that a parent creates for a child. Someone must be chosen to manage the trust and this can be included in the will. The closing paragraph is not appropriate: I do estate planning and estate administration. I do not practice family law. Given the subject of this blog, the closing paragraph should deal with estate administration. 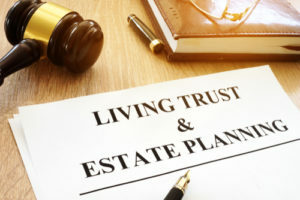 The California estate planning attorneys at the Law Offices of Darrell C. Harriman, represent clients throughout the state, including Los Angeles, North Hills, Granada Hills, Northridge, Chatsworth, Porter Ranch, and San Fernando Valley. We understand how challenging this time can be for you, which is why we will fight hard to protect your interests, and the interests of your loved ones, throughout the legal process. Call us at 818-946-0968 or fill out our confidential contact form to schedule a consultation. We have an office conveniently located at 8912 Haskell Ave North Hills, CA 91343.